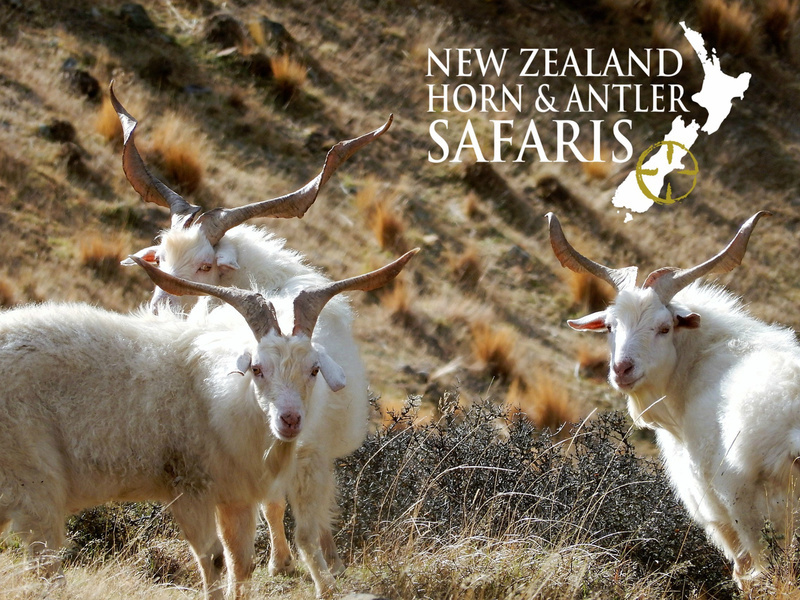 Wild Goats were introduced to New Zealand when the first European settlers arrived as both a food source and a method to control shrubbery. 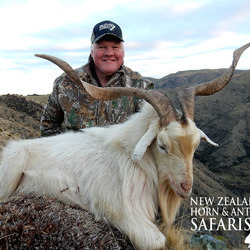 They quickly bread throughout the New Zealand environment, leading to widespread numbers across the country. 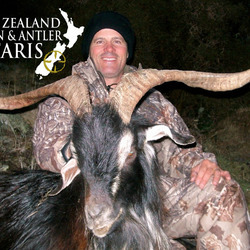 On our hunting block we have a selection of male and female goats in a range of colours. 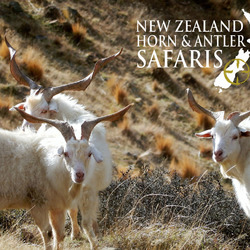 The male is our trophy goat, as they have a larger horn that sweeps up behind the animal opening up like a spiral. 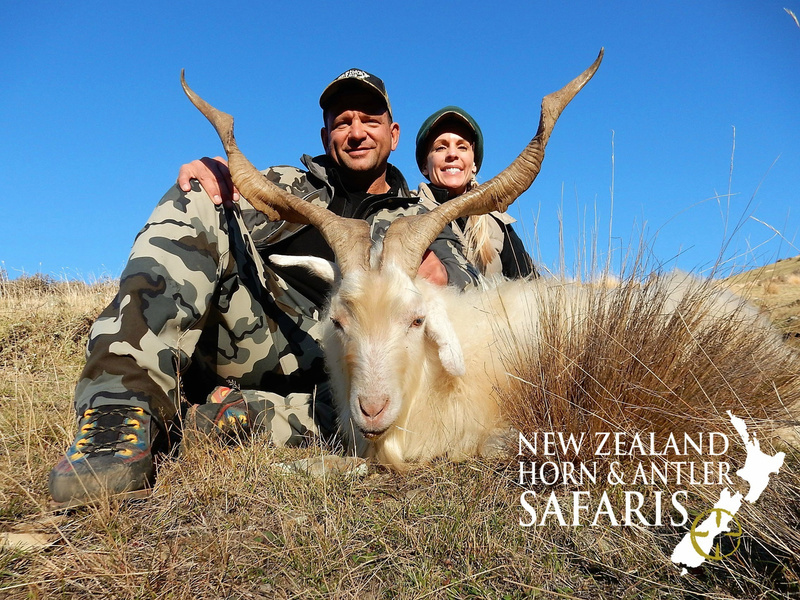 It’s this horn that sets them apart and draws our hunters to add them to their hunt. 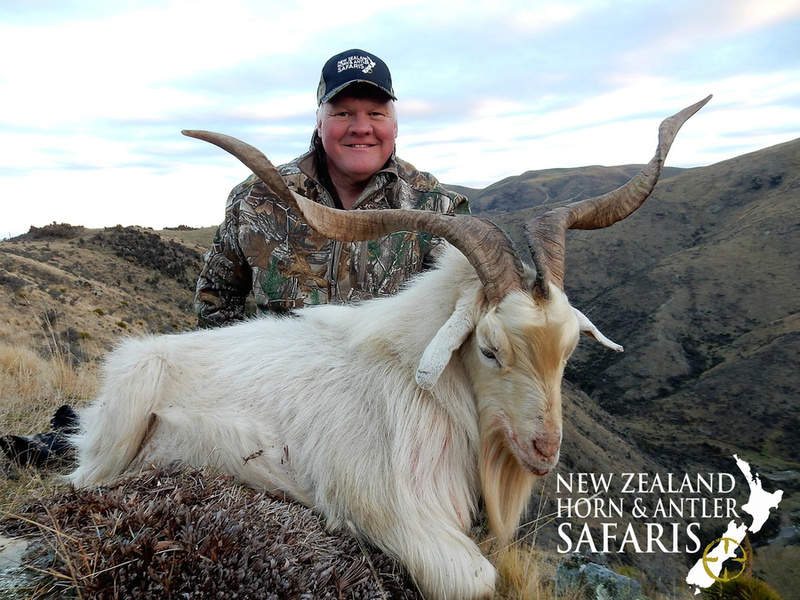 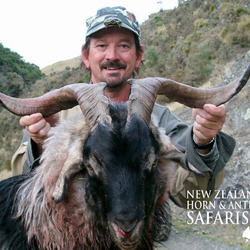 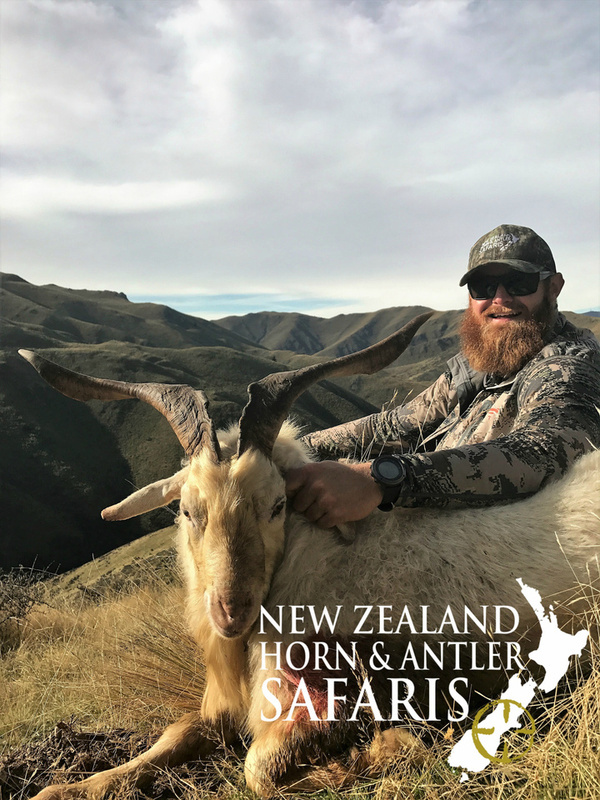 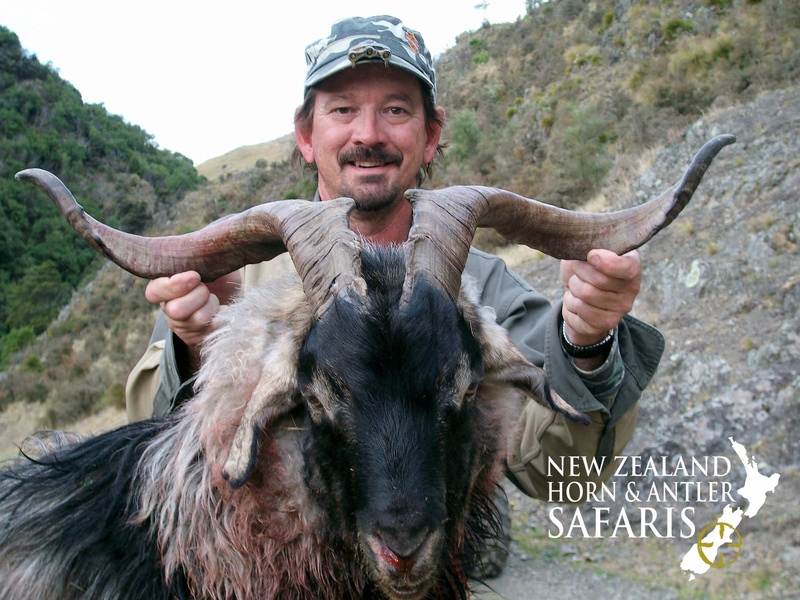 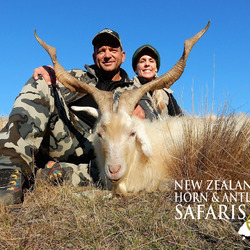 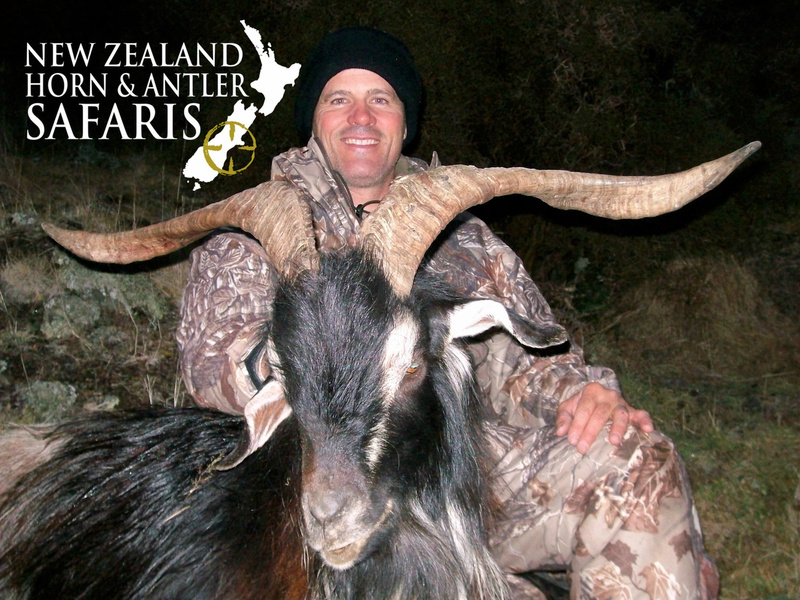 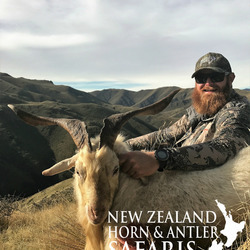 A full grown Billie can have a horn spread of up to 40inches and can weigh around 90lbs making it a perfect addition to your New Zealand hunt.